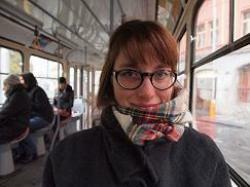 Rosie Allabarton is a poet and short story writer who lives in Berlin. She has had her work published in various online and print magazines as well as literary anthologies. She completed Birkbeck's Creative Writing MA in 2011 before running away to Germany where she lives happily in a flat the size of a matchbox. She is currently working on her first collection of poetry and a selection of short stories. 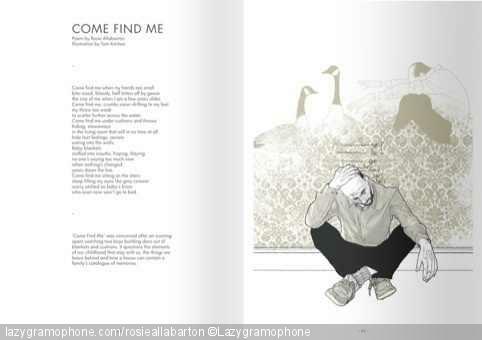 Illustration by Tom Kitchen to accompany my poem 'Come Find Me' in Popshot. 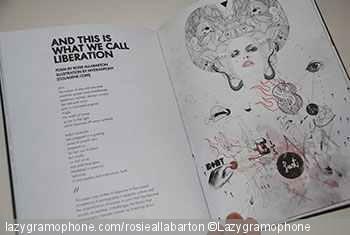 www.bbk.ac.uk/writloud/Readings_new/rosie_allabarton.mp3 - Reading 'White Flag' at WritLoud in 2010.